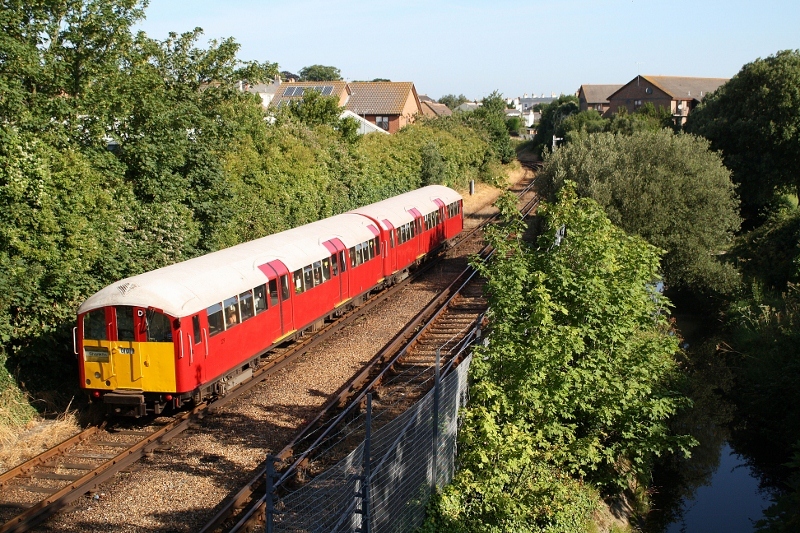 Martyn Hilbert's Railway Photography - Isle of Wight - 483009 at Ryde. Having just passed under Rink Road Bridge, 483009 makes for Ryde Tunnel with the 08.18 Shanklin to Ryde Pier Head service on the 11th July 2011. Monkton Mead Brook runs parallel to the railway along this section.